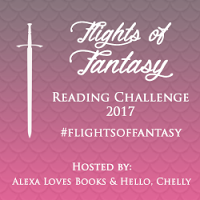 I'm not participating in any official challenges, besides Goodreads, but I do have some other bookish goals and one is to read more diversely! 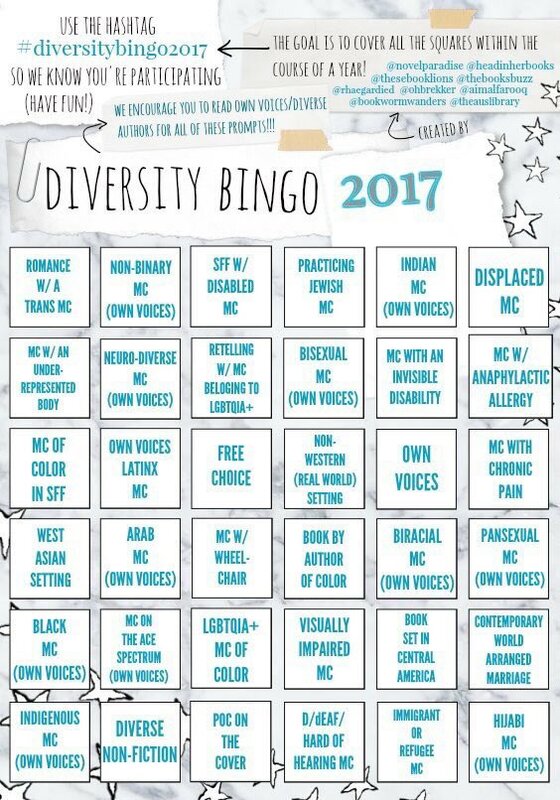 That's awesome you're participating in DiversityBingo2017! 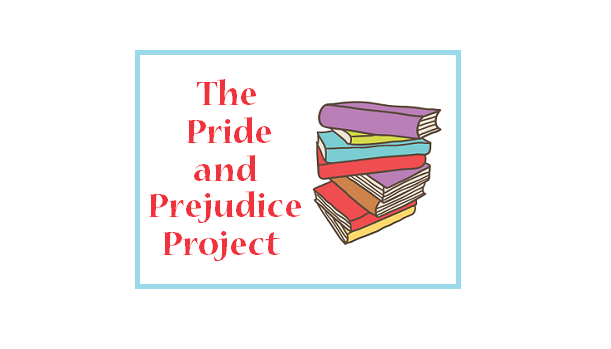 I've never heard of the Pride and Prejudice challenge, but it sounds fun! I confess, I love the Kiera Knightly Pride and Prejudice movie the most! The only book challenge I normally do is the Goodreads one, although I've set a couple ones that I'm going to do intermittently and let myself finish whenever – I'm doing the Rory Gilmore Reading Challenge and then one I created myself where I read a ton of Newbery winners. I really should try the Diversity Bingo one, though. I'm always trying to read more diverse books and authors, and it would be nice to have some concrete goals in that area. Until last year I only participated in the GR challenge, but I had fun in 2016 doing more challenges. I will see how it goes this year. If I’m not enjoying a challenge, I won’t force myself to complete it. Also, I definitely need to challenge myself to read more books I own, my kindle is full of books that I bought on a whim and never read. Goodreads is the only standing challenge I have for myself year to year. This year the goal is 100. I think I can do this because I read around 120 books last year, which fell short of my goal but was still respectable. The only other one I’m actively trying to do is also the Diverse Bingo one and I’m happy about it because there are some quite diverse squares that I never even thought of.